Eagle Scout candidate Nicholas King, a member of Troop 348 in Lake Forest Park, needed to turn out 50 donors, including 15 first time donors, for his Eagle Scout project to be successful. He not only met his goal, he exceeded it. 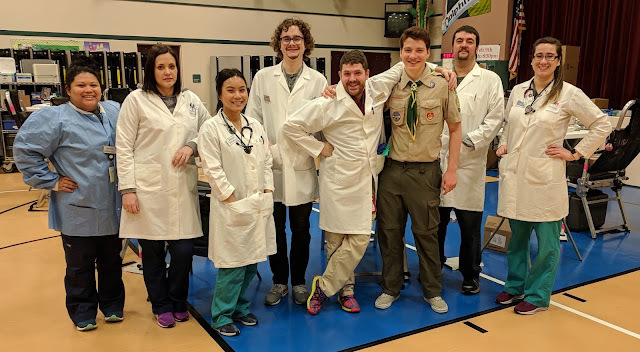 Thank you so much to everyone who supported my Eagle Scout Project Blood Drive which was held this past Saturday, January 27th at Lake Forest Park Elementary School. It was a huge success! We had 63 people come in to donate, 54 pints were collected, and there were 25 first-time donors.